When the artork was first released for Aranea’s character, I was so intrigued by this mysterious, armor-clad lady. The design was so interesting, I started working on it as soon as I could! The costume itself was made almost entirely from scratch, with the exception being the leggings that I wear under the armor. The amor is a 100% EVA foam build with faux leather straps. The gray belts are foam covered with fabric, the gems on the breastplate are resin cast, and the design on the skirt was patterned and painted by hand prior to sewing it together. 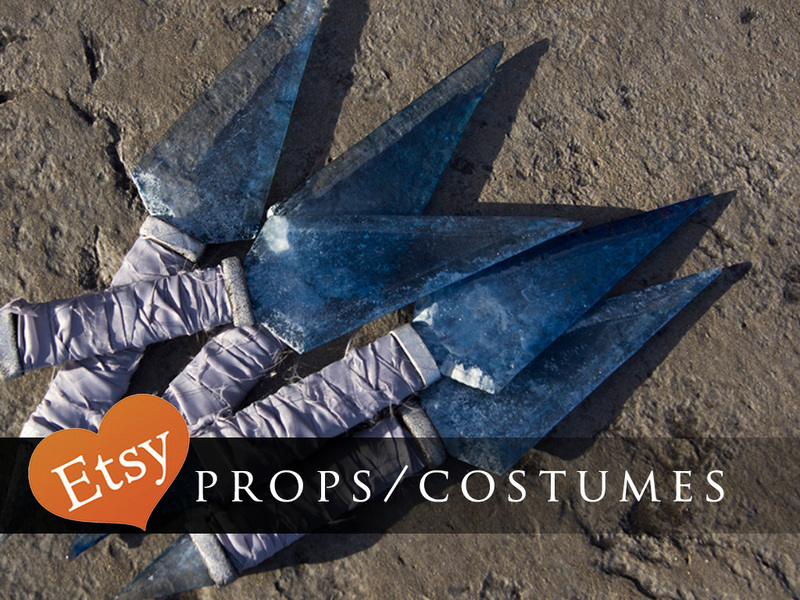 The boots have EVA foam bits added on as well as an additional shaft made from foam and fabric. The lance is also an EVA foam build with a PVC rod in the center. It unscrews in two places for easy travel.